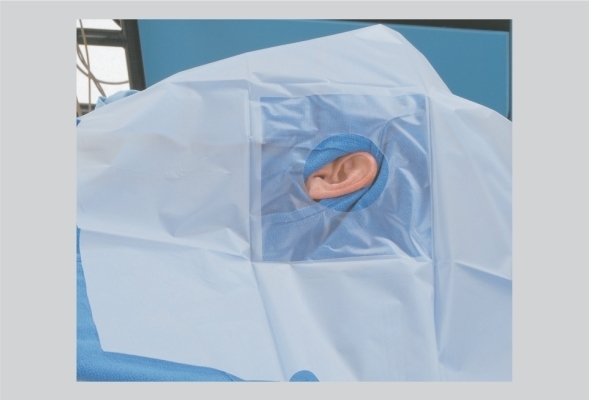 Ear surgery procedures pose a number of challenges for a draping system. Procedures on the ears, nose and throat can be difficult to drape and therefore requires a versatile but comfortable range. Specific needs of some procedures will require specialty drapes, drapes with reliable adhesion so they do not move and, where required, fluid control features.